An incredible smart invention to bring more bass and better sound to small portable speakers. Soon available in our web store!  The Sodapop is a patented invention for a compact, portable Bluetooth speaker that offers louder music, improved bass and an overall superior sound. Reuse and connect any regular plastic soda bottle to double your bass! Enjoy up to 30 hours nonstop music with awesome deep sound! Travel friendly speaker & protective carrying case with extra bass! Functional & clean Scandinavian design with a playful personality! By definition, a portable speaker is small and compact, and therein lays its inherent problem: The physical size of the speaker enclosure limits the possible audio volume, especially within the bass range. The Sodapop speaker has been designed to solve this problem.  The Sodapop makes use of an external bass bottle to increase the physical volume of the speaker enclosure, thereby increasing and improving the quality of the audio output. By taking advantage of the elastic walls of the plastic bottle and the air contained inside it, the Sodapop speaker can increase the loudness in the bass range by as much as 10 decibels. Yes it works! To the human ear, a 10-decibel increase will sound approximately twice as loud. 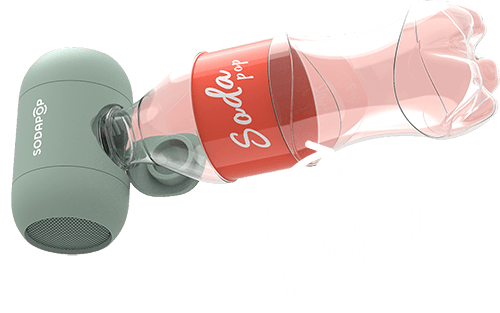 In other words, the Sodapop speaker can generate twice as much bass just by connecting an empty bottle to the speaker unit. The effect is striking once you connect the bottle. 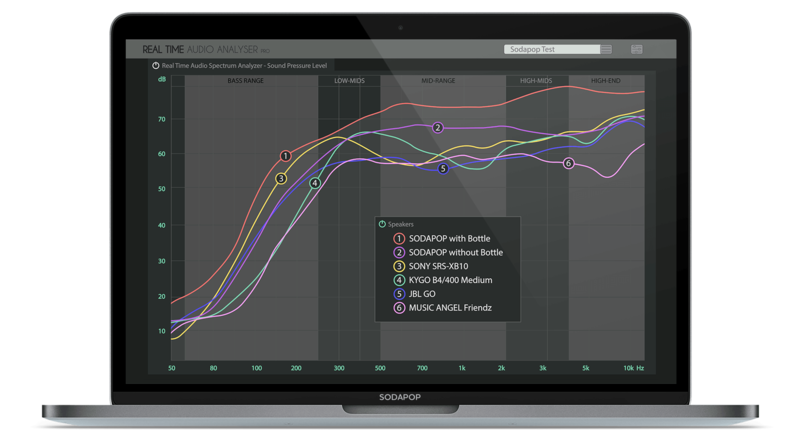 We have tested the Sodapop in professional sound labs and the results are exactly what we were aiming for.  When connected to a bottle the Sodapop speaker delivers increased sound volume throughout the whole audio spectrum. This results in the feeling of “warmth” in the bass without loss of definition. The increased volume is due to the physical characteristics of the bottle and its materials combined with the properties of the Sodapop speaker. The problem with other small speakers with bass boost (they all use a passive bass membrane inside a very small cabinet), is that they only boost the bass and this makes the music sound boomy and less defined. Just as the frequency response graph on the illustration under shows, they are unbalanced and lack the richness in the mid-range. The speakers are tested by playing the speakers at their max volume with the same music tune (typical pop/electronica with lots of bass) for one minute at the same distant (50cm) from the microphone. The data in the frequency chart is not the peaks but the median pressure at that specific frequency area over 1 minutt. 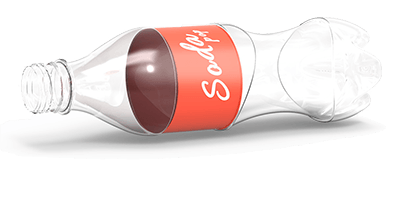 This proves that the Sodapop speaker delivers a more dynamic and overall “warmer” feeling in the sound image as the bottle gives the speaker more space to bring more definition to the sound. The included bass bottle doubles as a protective carrying case for the speaker unit, and it has a built-in passive bass membrane for additional bass boost. Still, the threads that fastens the bottle is compatible with most regular soda bottles, just about anywhere in the world. Bluetooth: 4.1 Qualcomm® Bluetooth® with AAC support (compatible with all devices (including Apple® and Samsung®). Sign up to receive email updates on new product announcements, special promotions, events, sales and more. Why will it help to connect a bottle and why not just buy a regular portable bass speaker? Well the physics is roughly as follows: very general, sound waves are produced when a flexible membrane (diaphragm) attached to an electromagnet is vibrating in the speaker element. This membrane pushes the air inside of the speaker cabinet to produce high and low frequencies. The bottle more than triples the physical volume of the Sodapop speaker cabinet, enabling the speaker to push more air and produce over 10db louder sound in the 60-250hz audio spectrum range (where is where you’ll typically find the «bottom» of the bass and kick drums etc), than without the bottle. 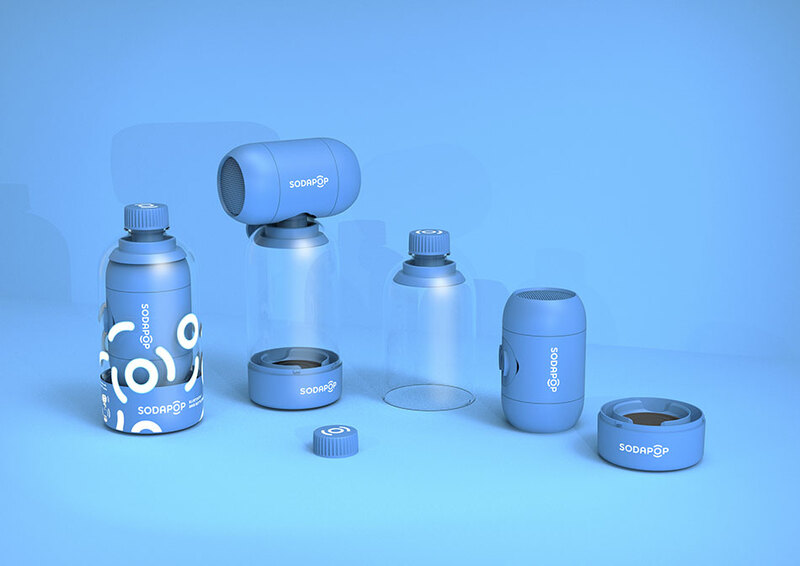 In addition, the elastic walls of the bottle also boost both the high and low frequencies, as it becomes a “part” of the membrane and helps to push the air inside the closed cabinet. This results in the feeling of warmth in the bass without loss of definition. The problem with other small speakers with bass boost (they all use a passive bass membrane inside a very small cabinet), is that they only boost the bass and this makes the music sound boomy and less defined. So, there you have it, real bass requires real space. Do I have to use the bottle for this speaker to work? The bottle is optional, the speaker delivers excellent sound when used by itself. It only gives you a inexpensive and easy way to upgrade your sound when you need it. This makes the speaker the perfect travel companion. 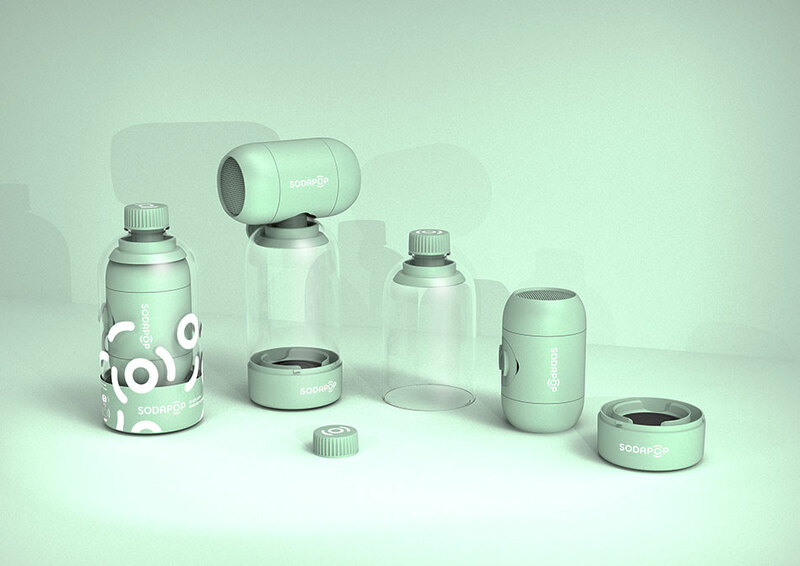 Its small, and easy to carry with you in your bag or lugguage, and a suitable bottle is available all over the world. Where can I buy this speaker? 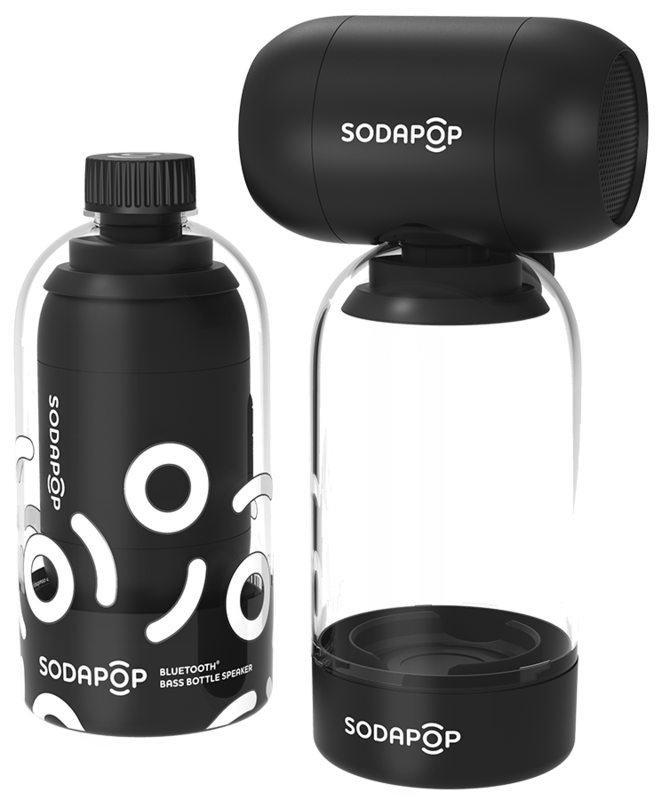 The Sodapop speaker is not available in any stores yet. But you can pre-order at Indiegogo Indemand, and you will be among the first to get your hands on this incredible speaker.  Just follow the link on the top of this page.